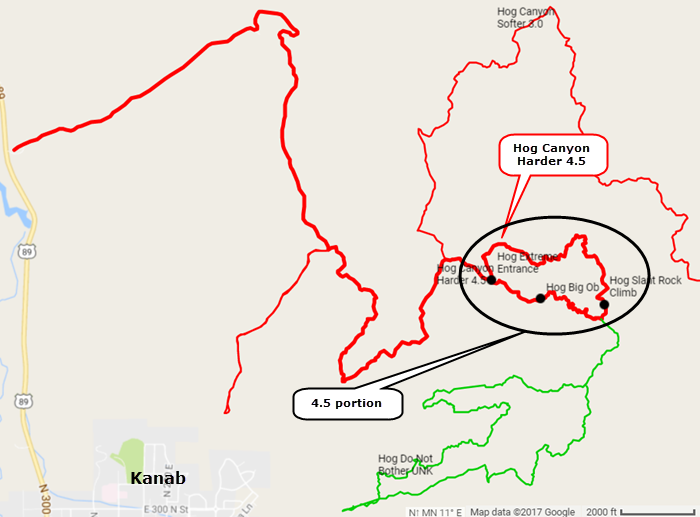 This is the most difficult route in the Hog Canyon trail system. 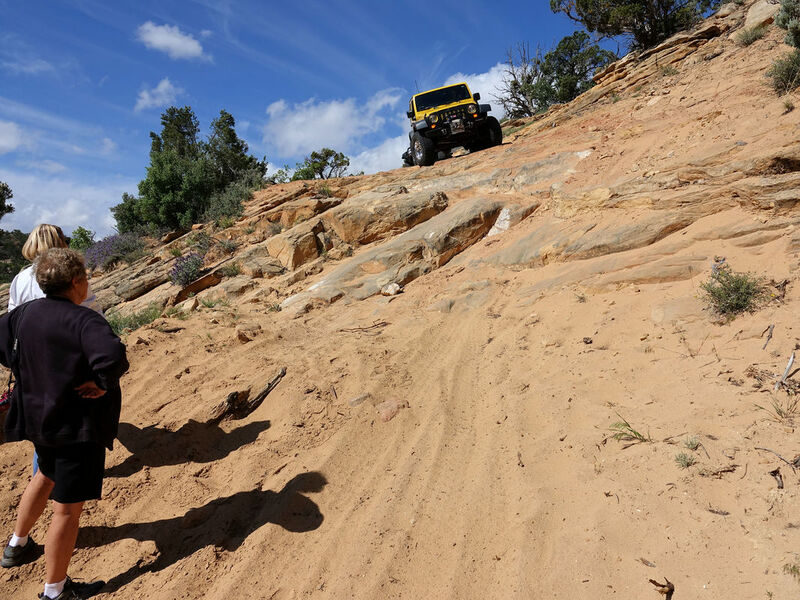 It the hardest trail in this Region and is not for the faint of heart. I have to admit that we were a bit too faint of heart. We did what we now know was the most difficult obstacle on the trail, did not want to do any more, then turned around and left. We may do it in the future, but for now all we have is a track from a friend and a photo of where we turned around. Enjoy if you have a well equipped vehicle. Notice there is a green Minor Trail south of this track. The same friend said "they" never cut a tree to make the trail. Extreme turns the whole length, very bumpy and nothing worthwhile to see. Do not bother with it.